Designed for lighter-duty sealing of up to 30 cases/min. Fast enough for many single-shift operations. Adjustable for different size case runs. Lightweight, portable, easy to install. 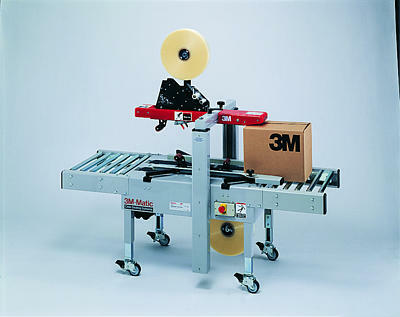 Includes 3M AccuGlide II Taping Heads for low-impact tape application.